Tony CHIPPO Nolan wins C grade criterium on the weekend in Brisbane. Tony,Cooky and Brady took the early trip into Brisbane on Sunday to race the Synergy Park criteriums and all came come pleased as punch. Team Dalby were represented in the top three races. 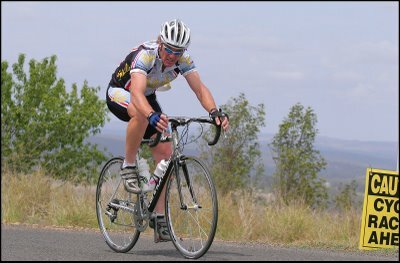 Tony C Grade. Cooky B Grade and Brady A Grade. 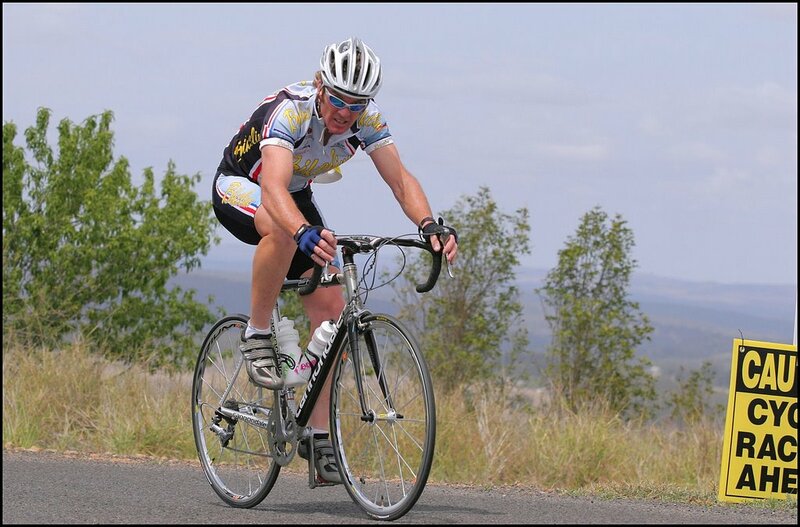 Tony started the day off with a bang, winning the C grade race in a powerful sprinting display blowing the opposition away. In an inverview after the race Chippo said it was an easy victory and all his hard training was starting to pay off.He was looking forward to stepping up into B grade next week. Cooky raced the hotly contested B grade crit and after taking out the cash prize for the prime (intermediate) sprint, he was a marked man. Obviously one of the strongest riders in the race (if not the strongest)the pack watched him like a hawke and wouldn't let him go. They let him do most of the work and when it came down to the finish Cooky sprinted into 5th place. Well done. 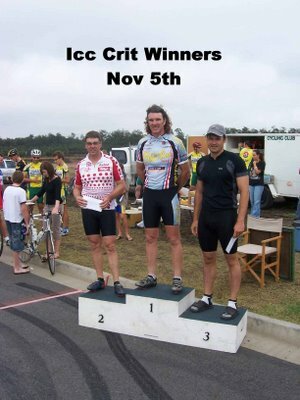 Brady had his first taste of A grade and even though it wasn't the strongest A grade field ever assembled it still featured two top ten finishers at the recent Noosa International Criterium.With a confidence boosting ride Brady sprinted home to take 4th, beating some highly credentialled cyclists.